Ahhhh nostalgia. You can never keep it down. And that works out really well for game developers and publishers, who can dip into those back catalogues every so often to create a “classic game” collection and the sell it off with a minimum of development work. Related reading: Matt's review of the sublime DuckTales Remastered. 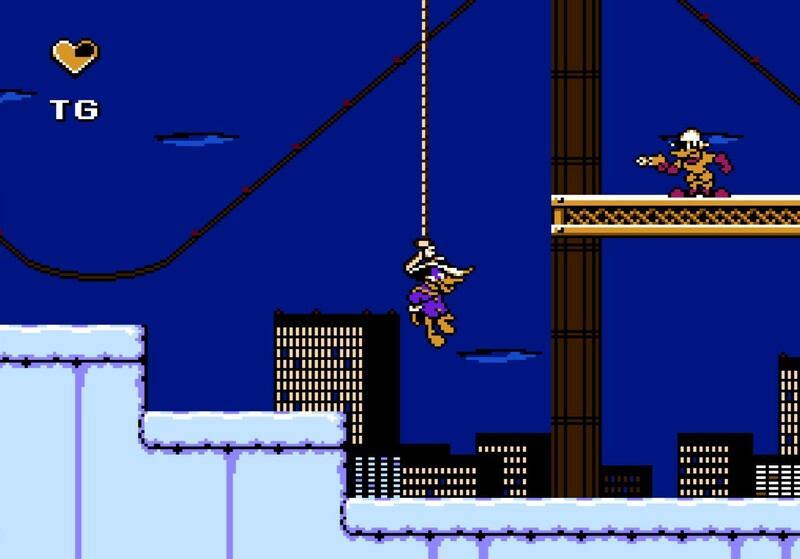 The latest game in this long-standing tradition is The Disney Afternoon Collection; a package of - you guessed it - classic Disney platformers (and one shooter). 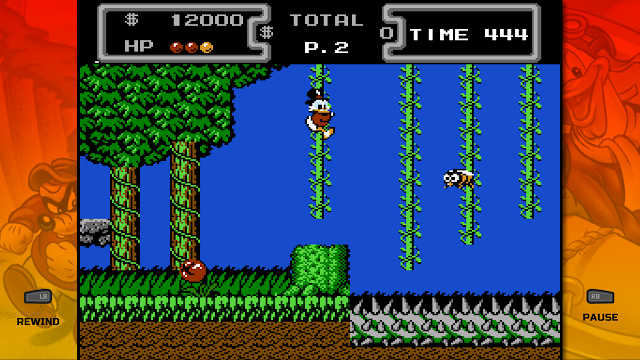 Whether you have fond memories of DuckTales, Chip & Dale, or Darkwing Duck, you’re covered by this package of games, even if the effort that has gone into the ports has been minimal. The package contains six games that were all originally developed by Capcom for the Nintendo Entertainment System. Those six games are DuckTales, DuckTales 2, Darkwing Duck, TaleSpin, Chip 'n Dale Rescue Rangers and Chip 'n Dale Rescue Rangers 2, and to be upfront about this, not all of the games have aged particularly well. 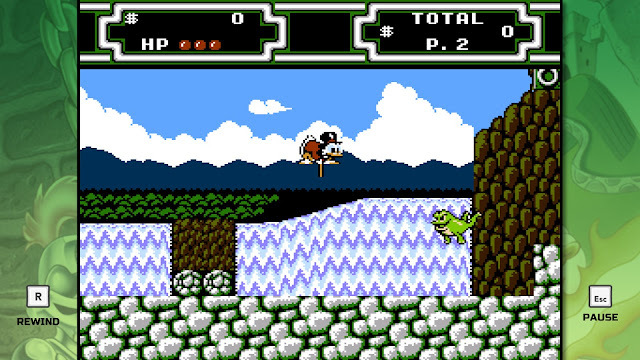 On the side of “still every bit as playable as you remember,” are the two DuckTales titles, as well as Darkwing Duck. Many players across generations will recognise DuckTales; not only was it one of the most well-renowned platformers back on the NES, but the modern 2D platformer maestros at WayForward did a brilliant job a few years back of rebuilding DuckTales for the modern audience. For those who have yet to play any of the games; DuckTales puts you in control of Scrooge McDuck, on a hunt for treasure. He runs and jumps like a regular platformer hero, but for one special ability; his cane also happens to function as a pogo stick. Treasure has a habit of appearing from thin air in DuckTales, so actually tracking it all down, while also surviving the stiff challenges, is enough to keep you playing for quite some time. Darkwing Duck, meanwhile, is a really slick little platformer that makes a great deal out of pixel-perfect platforming. As the titular character, you’ll find yourself doing death-defying leaps across razor-thin platforms, or grabbing on to tiny hooks just barely in reach, on your way to try and save the city by taking on some incredibly difficult bosses. 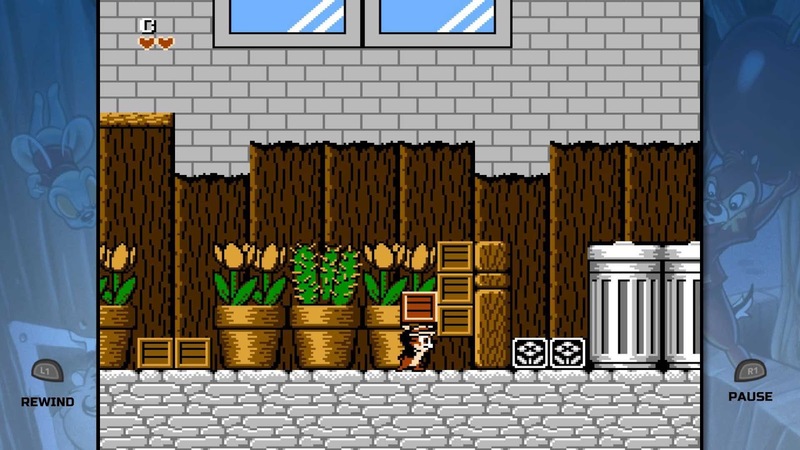 If this game were to be made today, it would throw stealth mechanics in, in fitting with the masked crusader parody that the hero has going on, but as it is here, it’s a refreshingly simple and straightforward platformer; albeit also incredibly difficult. The Chip ‘n Dale games haven’t aged as well. They’re also quite clean platformers, but it’s difficult to really get along with the level design across both games, which tends to be quite bland and vanilla. On the plus side, the sprites are nicely detailed, and there’s a lot of character in the game as a result. The only real dud of the package is TaleSpin, which has aged terribly. A side scrolling dogfight game, TaleSpin has the unfortunate mechanic of firing in the direction that your plane is moving, rather than in a horizontal line. So you can imagine how frustrating it is to be moving up or down in order to adjust position, and unable to shoot directly at the oncoming enemies until the plane has levelled off. If any old game needed dual-stick controls before they were a thing, it is this one. TaleSpin aside, the package is, at the very least, a solid trip down memory lane for a run or two through some beloved children’s classics. There’s some nice, albiet vanilla, work done on the package to make it relevant as a collection, too. The instruction manuals have been scanned in and digitised, which is a nice touch for people who want to remember what it was like to flick through the manual excitedly on the drive home after buying their parents bought them the game. There’s also a couple of options to change the screen, from a faithful reproduction of those old box-shape square TVs, right through to stretching the game out to widescreen, which doesn’t preserve the integrity of the art nearly as well, but for whatever reason I prefer to play the game that way anyway. The game select screen is presented nicely, too, and evokes that classic afternoon cartoons aesthetic. Unfortunately I wan't a big fan of the additional gameplay modes that have been added in; Boss Rush and Time Attack. These modes add a layer of competition into the overall experience, as they have online leaderboards and the like, but I don't feel that any of these games were designed around the speedrun experience, so the effect is a little like the developers have tried to stick a square peg into a circular hole; it just doesn't fit. I'm sure some will get some value out of it, of course, and if nothing else it's good to see that the developers have done more than throw a couple of lazy ports into a cheap and exploitative package. 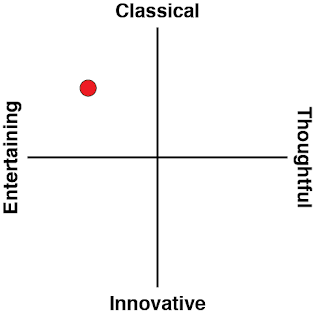 The problem with the package is that it’s difficult to argue that any of the games in it a bona fide classics. For the most part, they’re enjoyable, but we’re also not talking about games in the leagues of the original Sonic the Hedgehog or Super Mario Bros, Mega Man, Castlevania or Metroid. DuckTales and its sequel come close, but even then you’re probably better off going with the modern DuckTales, which does a wonderful job of capturing the nostalgia while, at the same time, modernising the game to make it enjoyable for a new audience. 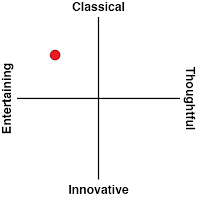 It’s a good package of entertaining games, and is presented beautifully, but it’s also not essential.